Width (side to side) 63"
Height (bottom to top) 26"
Storage Center shelf is removable/adjustable. 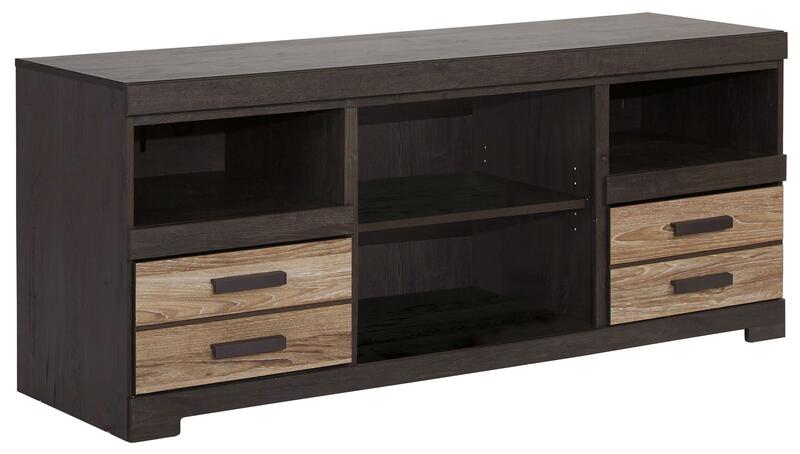 Accommodate your TV with the stylish modern design of this TV stand. 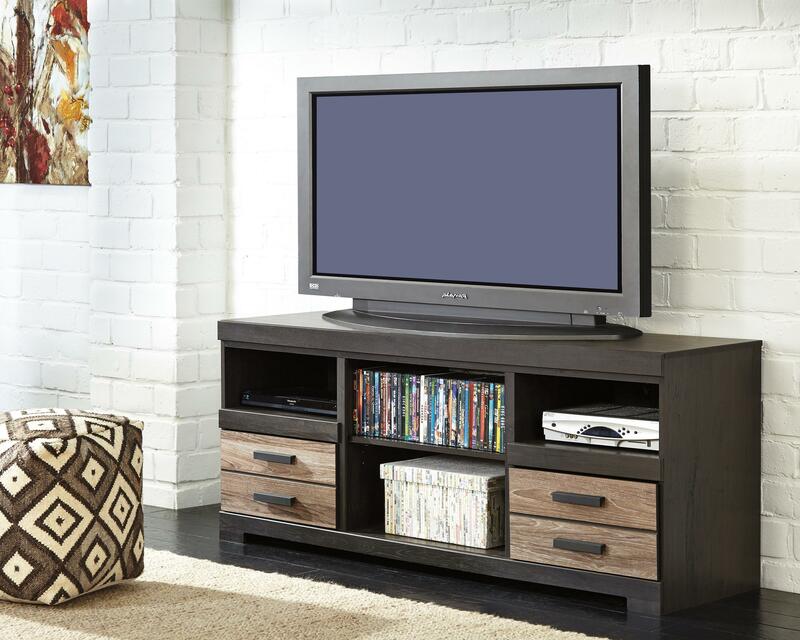 For storage, it features two side shelves and two center shelves for plenty of room for electronic devices. Two drawers with replicated oak drawer fronts and large matte black hardware provide contrasting style. The drawers have side roller glides for smooth operation.